The EOD Dig Knife is a non-metalic, non-mag tool that is lightweight, strong and designed to fit in a MOLLE slot on your gear so you'll always have access to it when you need it. The best part is, the knife is hand-made by an EOD Tech and has a lifetime sharp guarantee! The Dig Knife was designed for my EOD brothers and sisters out there. 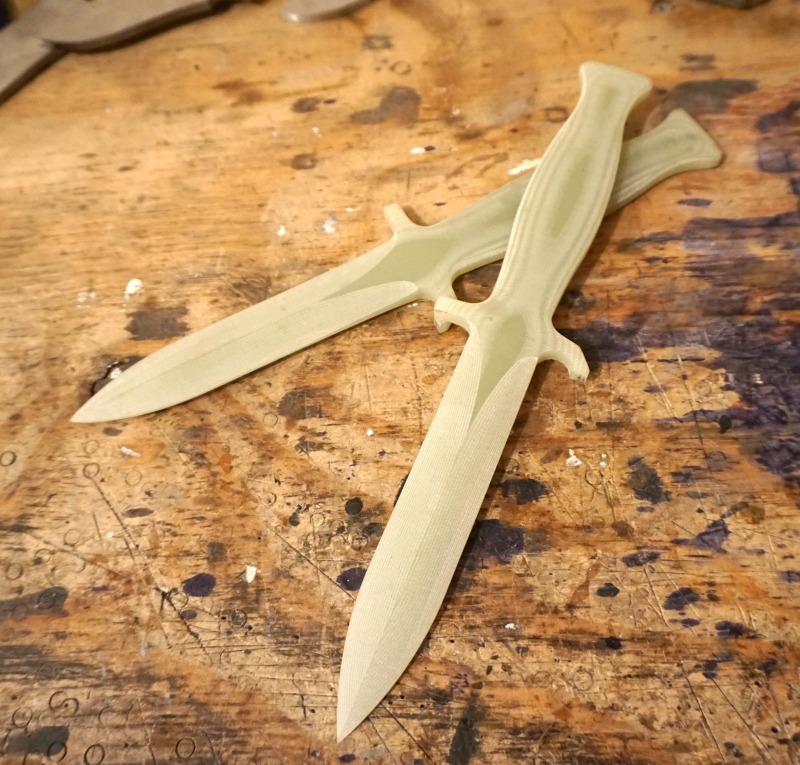 Knives are cut from a sheet of 5/16 inch thick FR-4 fiberglass, a flame retardant glass-reinforced epoxy laminate similar to G10. Knives are 11 inches overall length and specifically designed to fit into MOLLE. We stand behind our craftsmanship. We warranty all of our knives against catastrophic failure incurred during normal intended use for the life of the knife. All knives come with free sharpening for the life of the knife. Yes, the life of the knife!!! Catastrophic Failures is defined as any failure that prevents the knife from being used for its intended use and/ or makes the knife unsafe for use. Intended Use is defined as the purpose for which the knife was intentionally designed. Life of the Knife is defined as exactly that. As long as the knife is still around we will honor our warranty. Due to these being made by hand one at a time, there may be delays in delivery. If your order is time-sensitive, please give us a call prior to placing your order.